‘a new and serious response’ every morning? Thank you Uta, and yes, I do believe that’s what life is about. D > Whoa – What’s this? 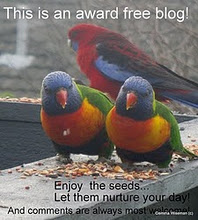 Mary Oliver quoted in two blogs I follow on the same day?! I confess I’ve never heard of her – until now. …. [ Looks up Wikipedia – explores a few random poetic works] … And it looks like she’s someone I’ll be learning more about – very much my kind of poetry! May Oliver has been a favourite poet of mine for many years. I have scattered her quotes throughout my blog posts since I started blogging way back in 2011. She often seemed to have the correct quote on whatever this ancient mind was blogging about. Thanks for your comment. I hope Mary Oliver will soon become a favourite for you as well. A few years ago at the Iowa Summer Writing Festival, I took a poetry class to learn how to tighten my nonfiction writing. I told the class I didn’t enjoy poetry because I could never understand it. Several immediately told me about Mary Oliver, that her work was “accessible.” I’m glad they did! Thank you, Lois. For me, she was an inspiration.